This type of boat was used by the Royal Navy prior to the introduction of the ‘Rib’ craft. They were used specifically to land personnel onto beaches through heavy surf when there was no jetty or piers readily available. She was used on board HMS Vidal one of the Royal Navy’s survey ships. She has a drop keel and would have been rigged for sail or rowing. The ‘surf boat’ is generally in very poor condition and is only for dry display. 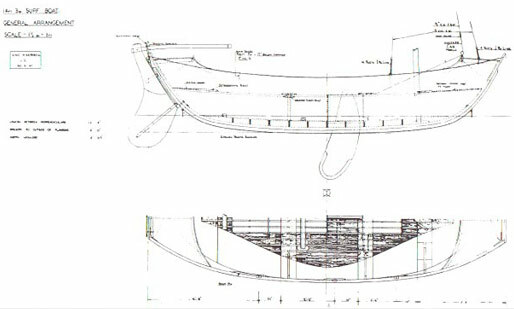 She has a cold moulded hull made up of two layers of diagonally laid mahogany strips glued to each other. She was obtained by the trust in 1992 in poor state of repair. 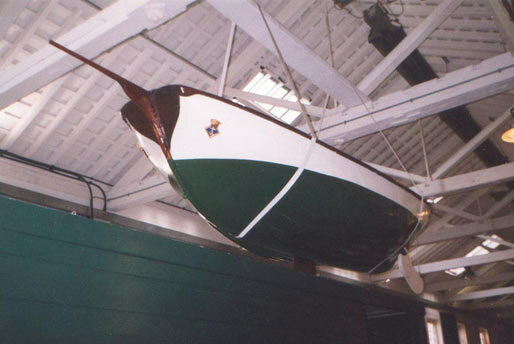 Some major preservation work was carried out prior to her being located in number 4 Boat House as a long-term display.